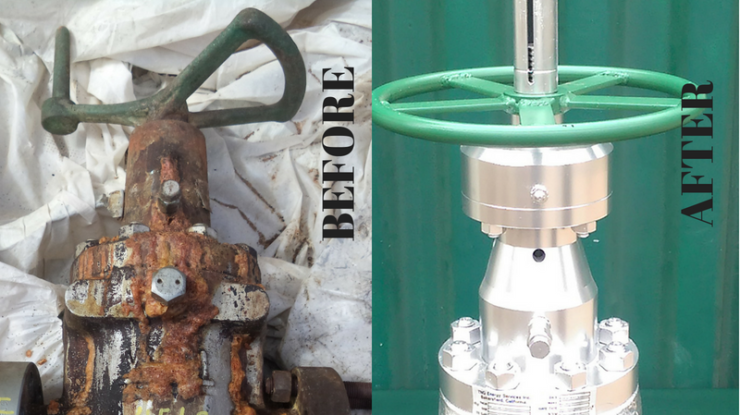 TNG Energy Services showcases Valve Re-Manufacturing photos Before & After! 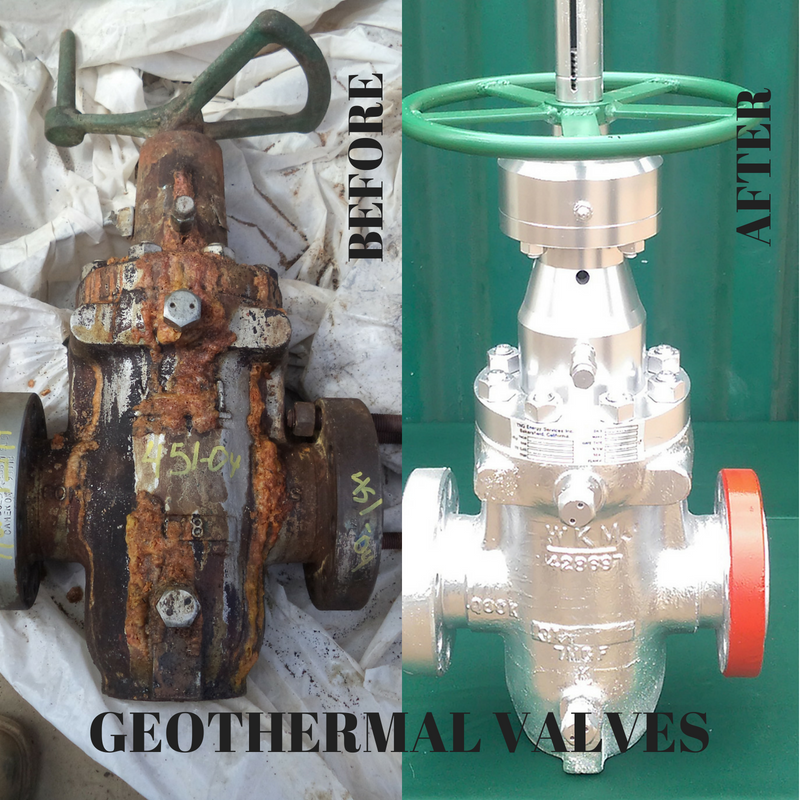 Pictured: A corroded 3″ outlet valve from a geothermal customer “before”, and a re-manufactured 3″ Inconel-lined, converted Rising Stem side-outlet valve “after” that we deliver and can install for the customer. Contact us today to learn more about how we can help re-manufacture your corroded wellhead equipment back to new. Sales@tngenergyservices.com or (661) 323-7031. Visit our LinkedIn or Twitter page to follow us closer.